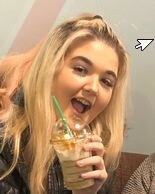 Kent Police is appealing for information to locate a 19-year-old woman who has been reported missing from Murston. Lydia Freed, who also goes by the name of Libbie Vergis, was last seen in the Sittingbourne area on the night of Thursday 28 June and it is believed she had planned to travel to Liverpool the following day. She is known to have connections to the Medway towns and is described as being 5ft tall with long black and red hair and a medium build. Anyone with information is asked to call Kent Police on 101 quoting 01-1031.